In conjunction with the global release of Call of Duty: Black Ops 2 release this week, SteelSeries have previously announced that it will be selling exclusive COD: BO2 gaming peripherals. 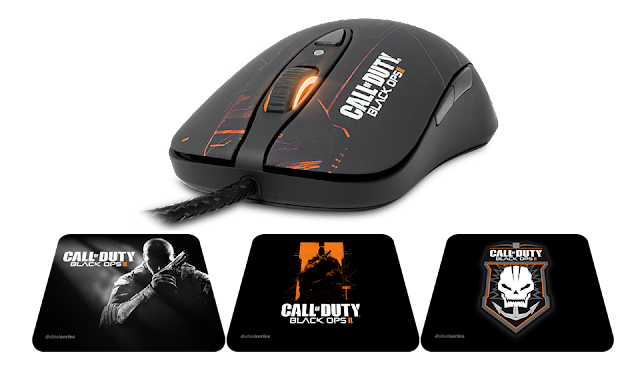 In partnership with the game's publisher Activision, part of the peripherals lineup will include a professional-grade gaming mouse and non-slip rubber-based mousepads with Call of Duty: Black Ops 2 theme designs. The gaming mouse will sell at $70 while the mousepads are at $15. For specs of the two hardwares, find them here.